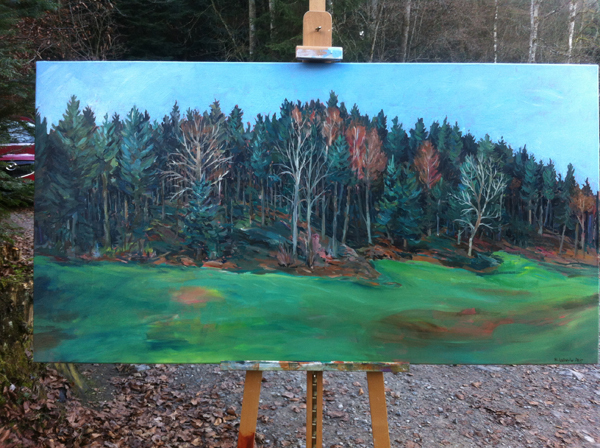 Last week, with the last november sun, i went painting outdoor, which i've been trying to do more often. 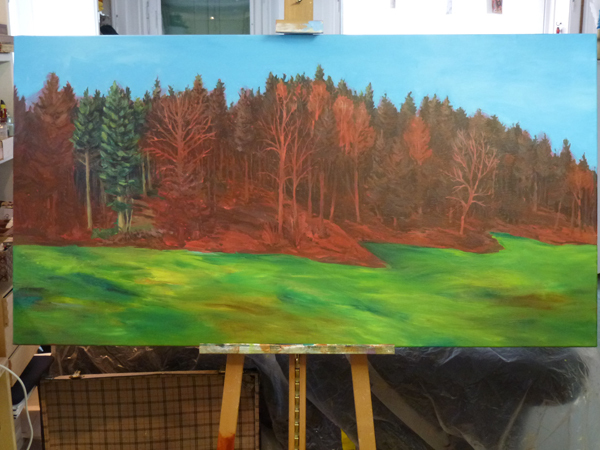 One of the painings is this forest. I liked the brushstroke in the original (scroll down), but not the greyish color. 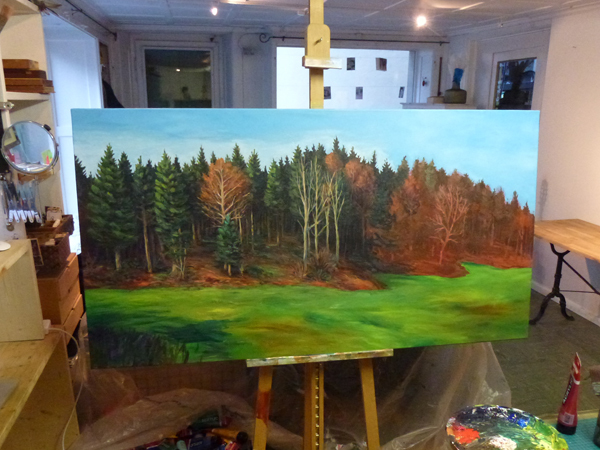 So the last few days i've been overpainting it. It lost the fresh flow, but gained depth, and i really like it. I'll be posting some more of the plein air works soon.